JDM;. 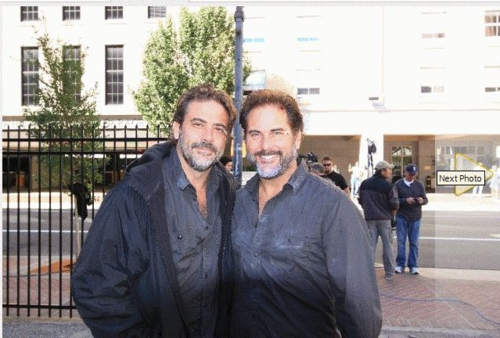 Jeffrey and his stunt double on the set of The Courier!. Wallpaper and background images in the Jeffrey Dean morgan club tagged: jeffrey dean morgan jeffrey morgan jdm. Jeffrey and his stunt double on the set of The Courier! This Jeffrey Dean morgan photo contains traje de passeio, terno de negócio, rua, cena da cidade, ajuste urbano, cenário urbano, cena de rua, cidade, and urbana definindo. There might also be triplex, brownstone, escola, escola escola, casa de linha, casa da cidade, casa geminada, linha house, and mansão.